Category-I stipendiary trainee: Applicants who have completed diploma in chemical/ mechanical/ electrical engineering or B.Sc in relevant discipline from a recognized university or equivalent from a recognized Institute for HWB Recruitment 2018. Category-II stipendiary trainee: Applicants who have completed HSC or SSC with minimum 60% marks or equivalent from a recognized Institute for HWB Recruitment 2018. Scientific Officer/ D: Applicants who have completed MBBS with 5 years experience or equivalent from a recognized Institute for HWB Recruitment 2018. Nurse: Applicants who have completed XII standard and a diploma in nursing & midwifery or B.Sc (Nursing) or equivalent from a recognized Institute for HWB Recruitment 2018. Stenographer: Applicants who have completed Matriculation or equivalent from a recognized Institute for HWB Recruitment 2018. Upper division clerk: Applicants who have completed a degree from a recognized university and should have a speed of 30 w.p.m in English typewriting or equivalent from a recognized Institute for HWB Recruitment 2018. 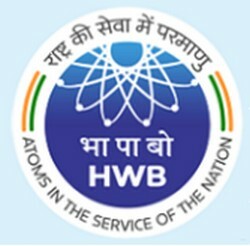 Eligible & Interested candidates can apply via online in Official website page at www.hwb.gov.in HWB Recruitment 2018. Complete the HWB Jobs Application Form with the essential data. Take a print out of HWB Recruitment 2018 online application form.